Almost all the different tarot deck have an interesting design that captures their feelings. A lot of the decks are based on the Rider Waite deck. This way you can be sure that the tarot deck has the essential symbolism needed in tarot readings. When it comes to tarot, spreads are an important defining factor for the reading. There are many different spreads that you can get and some such as “path to a goal” can help you to discover the path to a goal. Others such as planetary can delve into the astrology aspect and find out more about the planets and what they mean in your life. Spreads are an integral part of tarot and with them, you can be sure that you can find the answers you seek. Right now, you may be wondering what do these spreads mean, and in the next section of this article, we will look at just that! What Online Tarot Reading Spread Is Right For Me? Before getting a free online tarot reading, you will want to look at the following spread options and decide on which one is best for you to get. The Celtic Cross spread is one of the most popular spreads to get and many free online tarot reading sites offer the Celtic Cross spread as an option. This spread is great when you have a specific question you need answering and want to understand various factors such as final outcome, your emotions, opposition or influences that effect you and much more. With 10 cards in this spread, you can be sure to get many answers. If you have met someone new or just getting to know someone, there is a lot you don’t know. You can utilize the relationship tarot card reading spread to discover more about a particular problem. Even if the dating sites matching capabilities are not up to par – relationship reading can help! Achieving a goal is not always an easy thing to do. Cross and Triangle spread can shed light on your journey to achieving a goal you hold dear to you. The Planetary tarot spread offers an interesting view of different aspects of your life as represented with the planets. For example, the Moon represents home, Venus represents love, and the planet Jupiter represents your finances and wealth. Where are you and where are you going is important considerations in a life that is full of past, present and future. A simple free online tarot reading with the 3 card spread provides you a quick way to understand your question in a past, present and future tense. For Shaman’s, Druids, American Indians and other faith methodologies, animals are important guides in our life. 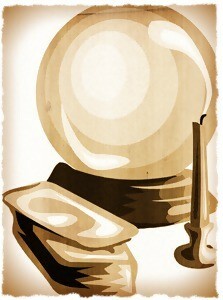 What the Missing Pet tarot reading options provide you is the ability to find your animal spirit guide or helper. If you ever wanted to know what is happening deep in your consciousness, the 10 card online tarot reading can help you discover more about your subconscious, and conscious mind in relation to your question, as well as find out about psychological forces that are acting on your question. Based on the tree of life Sephiroth much wisdom can be discovered. Previous Can A Free Tarot Reading Online Can Provide You Answers? Next Free Love Tarot Reading Spreads To Help You Discover Love!